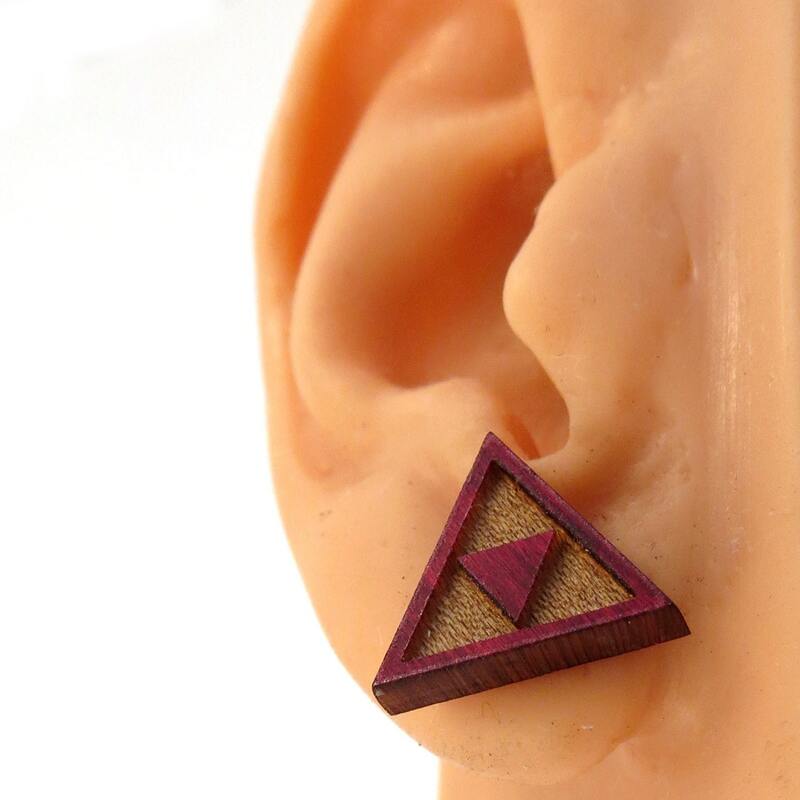 These Triforce Design Wooden Post Earrings made by K.C. Peck in Central PA are great for that Zelda fan. 0.5 inch, pictured in Red Stained Maple. Choose from Oak, Walnut, Red Stained Maple, or Black Stained Maple.